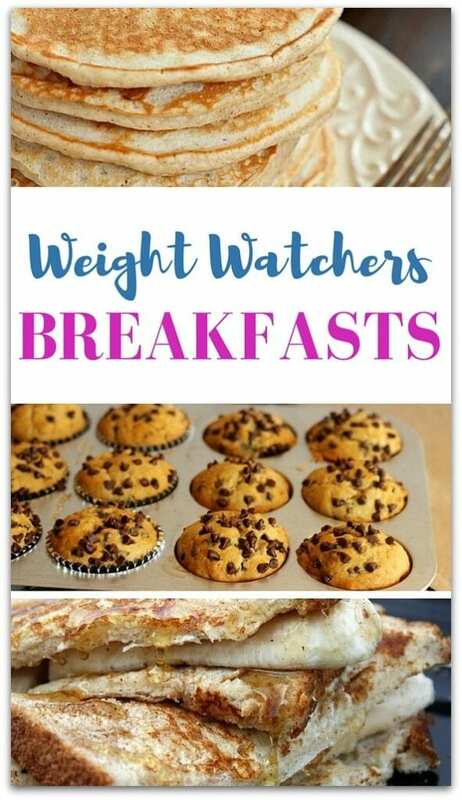 These Weight Watchers breakfast recipes will make your life easier! These Weight Watchers breakfast recipes will change your mind about eating breakfast. Just because you’re trying to trim down doesn’t mean you should skip that first meal of the day. You can enjoy your favorite foods as long as you stay within the allowed points. Is your breakfast choice sweet or savory? 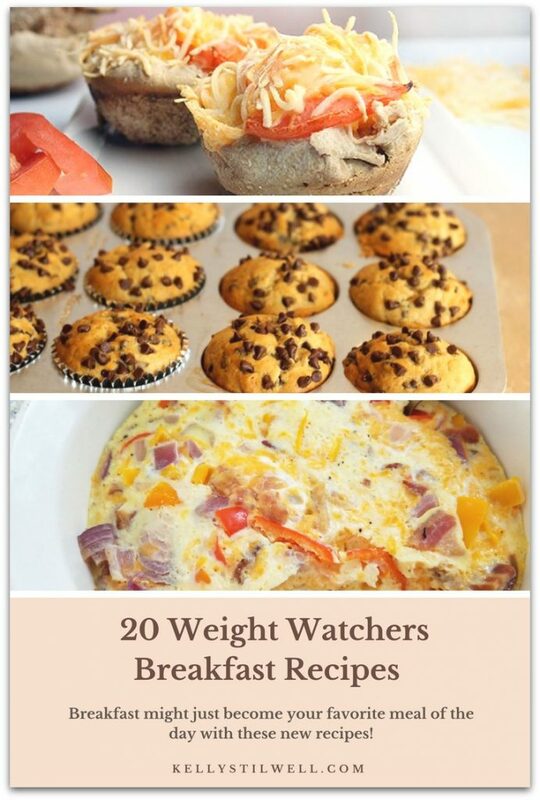 No matter what you prefer for your morning meal, there is a Weight Watchers breakfast recipe that has you covered. That’s just one of the many things I love about the program. 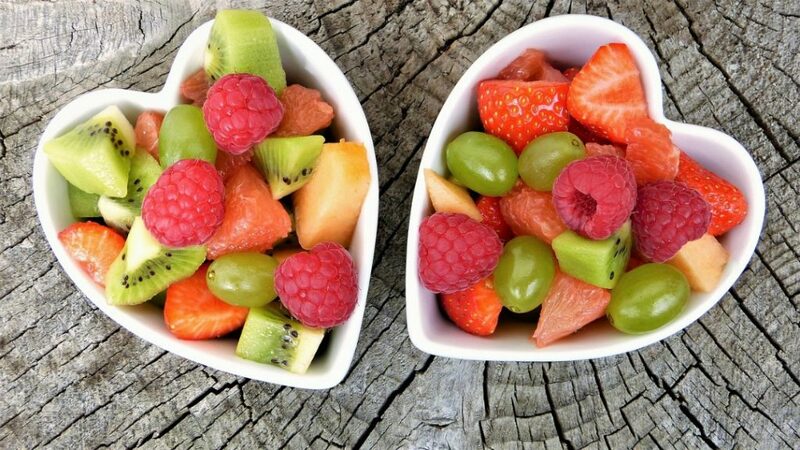 Love fruit? All fruit is zero points on the Weight Watchers plan! Have a side of fruit with the below Sausage and Egg Cups. Pile the blueberries right on top of the Baked Lemon Doughnuts. There is something about blueberries and lemon. 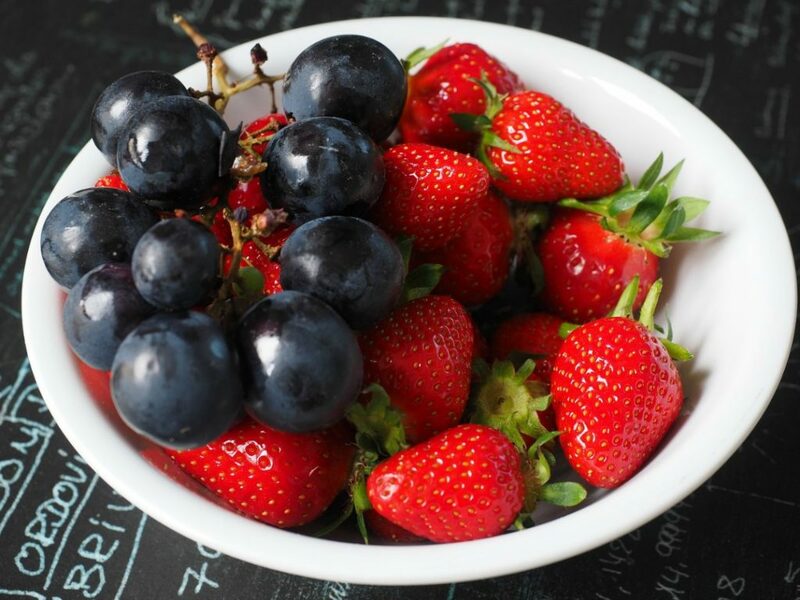 Keep a bowl of fruit ready and waiting for when hunger strikes. I think every time I’ve cheated when doing Weight Watchers it was when I didn’t have something to eat that was within the points I was allowed for the day. Don’t let that happen! From something sweet and quick to something savory that takes a little more time, you’ll find it here. The choice is yours. Just make sure you’re keeping track of those points and start your day off right; with a delicious Weight Watchers breakfast. Banana Chocolate Chip Muffins | 77 Recipes These Banana Chocolate Chip Muffins are so moist because they have yogurt in the base. If you haven’t tried yogurt in your baking, you are in for a treat. This is a great breakfast on the go, and a perfect afternoon snack when you’re craving chocolate. Plus, the recipe is SO easy! I like easy, don’t you? Sausage Egg and Cheese Hash Brown Cups | Emily Bites These little bites of deliciousness will make your morning! I love that they can be made ahead in larger batches and frozen. Another reason I love Weight Watchers is that the recipes are really healthier for everyone. Why stop for a fast food breakfast sandwich when you can have these heating up in the oven while you’re getting ready for your day? Honey Banana Toast | Genius Kitchen I could really eat this every single day and never get tired of it! Though you won’t find Weight Watcher’s bread anymore (at least I can’t!) you can substitute with a low-calorie high fiber bread. I’m not going to try to give you ideas because after researching, bread brands seem to be different geographically. Just do your best to make sure it’s reduced calorie and has at least a little extra fiber. Breakfast Casserole | Danicas Daily This is a great recipe for company and is another one you can make ahead. I love jalapenos and would totally add them and the hot sauce for me, but my husband is not that big of a fan. If you have someone in your family who doesn’t like spicy, just omit the hot sauce. If you do like spice and can’t find that sauce, use a splash or two of Tobasco. I use it in a lot of dishes to add flavor, and you would never know it’s there! Breakfast Recipe Pizza Cups | Cutefetti Another delicious and easy breakfast for the whole family. I kick myself when I think about all the times I stuck a frozen breakfast sandwich in the microwave when trying to get everyone ready and out the door for school. This is so much healthier than the sandwiches in the frozen aisle at the grocery store. Banana Chocolate Chip Baked Oatmeal Cups | Organize Yourself Skinny This is perfect for those overripe bananas. I stick them in a large baggie in the freezer to use in recipes. My husband loves them overripe, but I can’t eat them once they are turning brown. (Confession: I like them slightly green!) Nothing goes together like oats, chocolate chips, and bananas, and the kids will love this as a healthy snack! Hash Browns, Bacon and Eggs Breakfast Casserole | Skinny Kitchen This is similar to the Sausage, Egg, and Cheese Cups above, but with BACON! Plus, this is a pretty casserole to serve to guests. Make sure you crips it on top before serving. YUM! Breakfast Sandwich | Laaloosh I adore sandwiches. I like to pile extra toppings on, and for this one, you could totally add red and yellow peppers. I would saute them in a little cooking spray first and follow the rest of the recipe from there. I’d also add some fresh parsley before topping it with the other piece of bread. Baked Doughnuts | Simple Nourished Living I don’t love sweet treats in the morning, but could totally eat this in the afternoon as a snack! This would be a fantastic recipe to bring to a daytime bookclub or even to a school event for the kids. Only 148 calories, too! Coffee Banana Smoothie | Cookin Canuck I love coffee, and this smoothie sounds so good! Yogurt and a banana make this thick and delicious, and the flax seed adds a great boost of antioxidants and fiber. 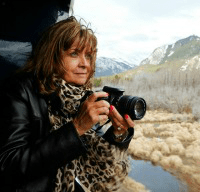 Weight Watchers Insta Pot Breakfast Casserole Midlife Healthy Living If you have an Instant Pot, this will be your new favorite Weight Watchers breakfast recipe. I don’t have one so may try to figure out how long it takes to bake in the oven. Let me know if you try it. I’m still on the fence about buying yet another kitchen appliance! Pineapple Angel Loaves | Live Laugh Rowe I think these are more of a treat or dessert than breakfast, but hey, they do have pineapple in them. Fruit is good for breakfast, right? They do look delicious, and I always love recipes from this site. 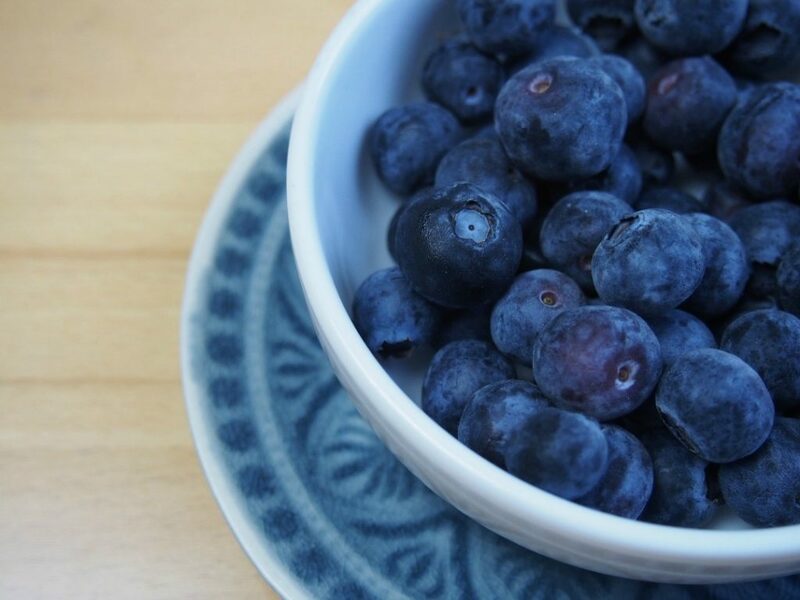 Blueberry Scones | Recipe Diaries I adore scones in any flavor, but they are usually off the scale in calories and grams of fat, which means it would be a lot of Weight Watchers points. These are not so bad, but I wouldn’t eat them every day as I like to save my points for later in the day. This would be a special treat for me. Overnight Pancakes | Snack Girl Another one that is 6 points, so it would have to be for a special occasion. I do love pancakes, though! Hmm. What can I celebrate this weekend? Nutella Banana Bread | Slender Kitchen Seriously, Nutella and banana and I’m in! This bread is the most decadent Weight Watchers breakfast recipe on this list, and it’s only 4 points. My daughters will love this recipe! Baked Eggs with Delicata Squash, Spinach and Feta | Weight Watchers This is a really elegant recipe and a little more work, but the outcome is totally worth it! Weight Watchers Taquitos for Breakfast | Life is Sweeter By Design I love taquitos and so do my kids, so this is one of my favorites. Most salsa is zero points, too. Garlic Cheddar Biscuits | Madame Deals Biscuits are another food that you would think you couldn’t have on Weight Watchers, but you sure can! These would be delicious any time of day! Breakfast Cookies | Cafe Delites Two ingredients? You know I love that! NOTE: The beautiful photo shows the cookies with chocolate chips. That does change the points value. The cookies with only banana and oats are still delicious, and they are only 32 calories. Though she doesn’t list the points value, 1 serving of oatmeal is 2 points, so it’s safe to say these are under that per serving. Love this post? 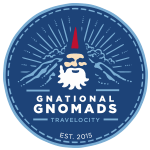 Pin it on Pinterest so others can see it, too! Looking for more Weight Watchers deliciousness? This Chicken Pot Pie is heavenly! Also, check out this roundup of Weight Watchers Desserts! Where are the recipes? There isn’t a link or anything. Hi Kristy- Each recipe under the initial description is a link. Just click on the recipe name and it will take you to the full recipe. Thanks for visiting, and let me know if you have anymore problems! Hi Kristy- So sorry. There was a problem in the html. It’s fixed now. I would have never known as it was showing up fine for me!! Thank you! I don’t see a link either! Do you see the title of each recipe, Melinda? Click on the title and it will take you to the recipe. Please let me know if you have more trouble! Melinda- There was a problem in the html that I couldn’t see. Thank you for pointing it out to me!! Fixed now! I don’t see the title or link to recipes either. I think we figured it out, Kelli. Thanks for letting me know, and so sorry for the trouble. I’m on my cell and I don’t see the list of recipes/links. Would sure like them. I’m starting out in WW and failing miserably so far. Thanks. I hope the recipes are showing up now Carin! So sorry, we had a tech issue! I don’t see any descriptions or links … I only see the introduction. What am I missing? Malinda- do you see recipes now? We had a tech issue. So sorry! I followed one recipe (chocolate chip bannana muffin one) and didn’t see any points associated with them? These look great but without he points listed they really aren’t very helpful. These recipes look amazing!… but didn’t see any points?